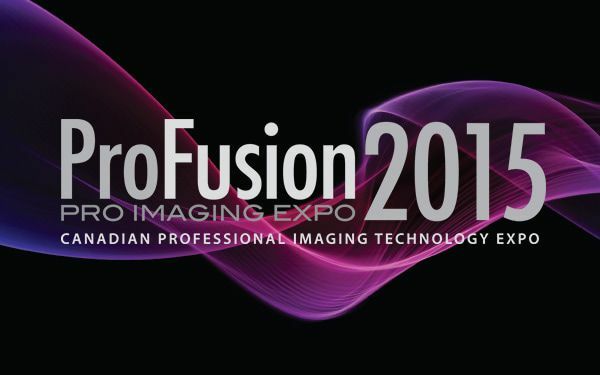 The primary mission of ProFusion is to showcase and celebrate the pro imaging industry in Canada. To that end, over two days, our focus is to celebrate Canada’s burgeoning pro imaging market by bringing together the latest technology and the brightest minds in the industry. If it’s new and exciting and you haven’t seen it yet, chances are you’ll get to see it launched at ProFusion. Over the years we’ve showcased many ‘first time in Canada’ product launches, including the most talked-about cameras, lighting, software and more. And it’s not just about seeing new gear, it’s experiencing it in an intimate, interactive environment, unlike any other tradeshow. Every year, ProFusion is all about bringing in incredible new technology and showcasing it to the Canadian public. If it’s new and exciting and you haven’t seen it yet, chances are you’ll get to see it launched at ProFusion. Over the years we’ve showcased many ‘first time in Canada’ product launches, including the most talked-about cameras, lighting, software and more. And it’s not just about seeing new gear, it’s experiencing it in an intimate, interactive environment, unlike any other tradeshow. Whether you’re involved in the industry as an DOP, photographer, producer, lighting director, audio professional, independent, freelancer, broadcaster, cable caster, educator, government, corporate, house of worship, photo, staging or rental company – ProFusion is the must attend Canadian Industry event! Many legendary names have graced the floor of ProFusion over the past 4 years, some of the most notable include: Greg Gorman, Garrett Brown, Jay Maisel, Vincent Laforet, Philip Bloom, Alex Buono, Douglas Spotted Eagle, Adam Forgione , Bill Frakes, Seth Resnick, Gary Adcock, to mention just a few. 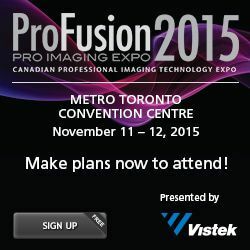 We look forward to seeing you at ProFusion 2015, and thank you for being part of a strong Canadian imaging industry.